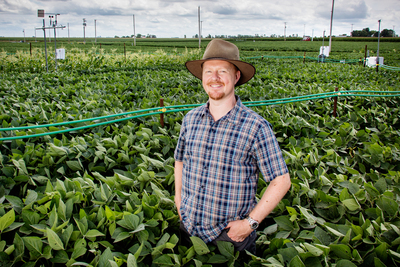 CHAMPAIGN, Ill. — An eight-year study of soybeans grown outdoors in a carbon dioxide-rich atmosphere like that expected by 2050 has yielded a new and worrisome finding: Higher atmospheric CO2 concentrations will boost plant growth under ideal growing conditions, but drought – expected to worsen as the climate warms and rainfall patterns change – will outweigh those benefits and cause yield losses much sooner than anticipated. Predictions about the influence of higher carbon dioxide levels on soybean yields are accurate as long as conditions are wet, a new study finds. 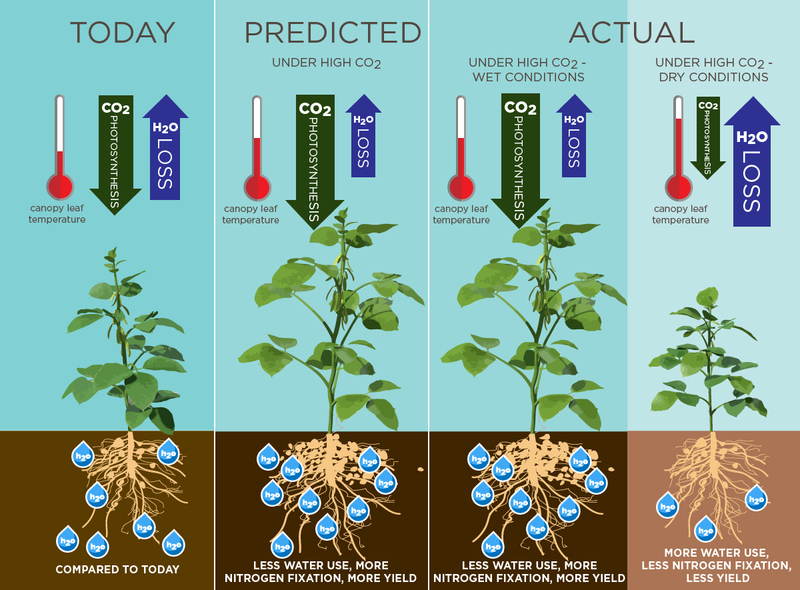 But, in the drought conditions that will become more prevalent in the Midwest U.S. due to climate change, the fertilizing effect of higher CO2 is negated by drier soils, leading to lower yields. 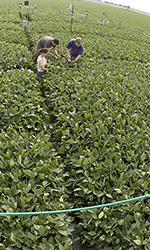 The Soybean Free Air Concentration Enrichment system at the University of Illinois allows researchers to simulate future atmospheric conditions to determine their effects on plants. Here, professor Andrew Leakey, right, works with research assistants Lindsey Heady and David Marshak in the SoyFACE facility. To reach Andrew Leakey, call 217-244-0302; email leakey@illinois.edu. 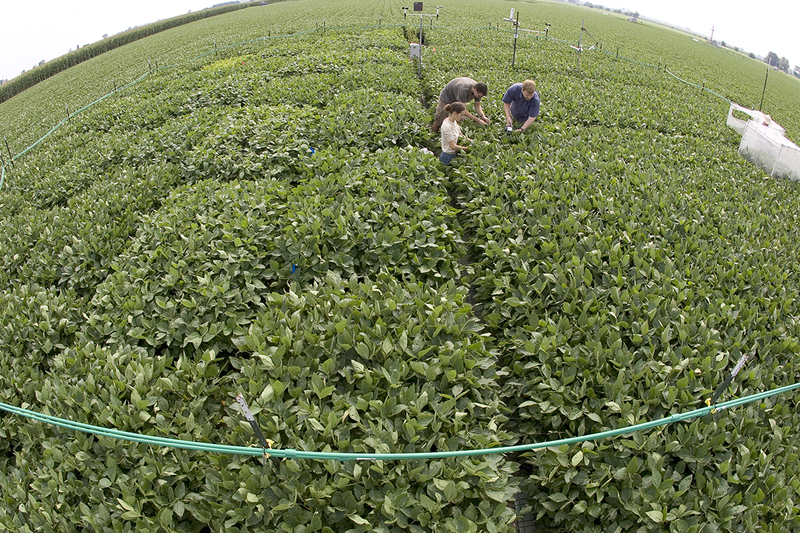 The paper “Intensifying drought eliminates the expected benefits of elevated CO2 for soybean” is available from the U. of I. News Bureau.